“In the beginning of 1990, memories of old repression sought inspiration from Pakistan, Afghanistan; even Palestine and Iran. 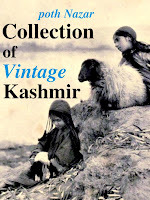 In those days, around 35000 rebels ( Kashmiris called them ‘Mujahideen’) were fighting the Indian army of 3.5 Lakh. The rebellion would be known as “Kashmiri Intifada”. Mention of numbers, the maths, is of course to remind the viewers that the Mujahids were fighting a brave war against heavier odd. No mention of the fact that exactly from 1992 onwards the number of foreign Mujahids kept increasingly sneaking into Kashmir. However, this post is not about sneaky Mujahid with guns but an inquiry into how the word “Intifada” is sneaked into the left narrative. The director is honest enough and true to his principles claiming rebellion “would be” known as Kashmiri Intifada, he doesn’t claim it was back then known as Kashmiri Intifada. To the people on ground it was and it is Jihad, a religious duty. When the director says “would be known as”, it is just a wish that the director of the narrative has. It is like sugar coating a bitter pill of religious fanaticism with ideological romanticism. It is an attempt by Left to reclaim future without looking at its past failures. The left has a special love for term Intifada. After all it is supposed to mean “resistance”. But, there is more to that love. As later history tells us, this man too was hounded out. Using such a powerful word in case of Kashmir, of course draws immediate connect from western audience which is well acquainted with Arab conflicts and its relation of the word “Intifada”to word colonialism. Even the left intelligentsia in India, has heavily invested in Palestinian conflict, so they too are able to see Kashmir with a certain lens when the word Intifada is used. It becomes easier to pass off Kashmir as a colony of India. India was a brute force. Replace Hezbollah with Hizbul Mujahideen. You get the picture. If violent religious ideology of Hezbollah can be overlooked, Hizbul Mujahideen too can be sanitised and sold as “resistance movement” and broadcast on youtube as Electronic Resistance. All that is fine. But, why this desperate attempt to plagiarize this history of Syria, Iraq, Palestine and Hezbollah, roll it into a bitter-sweet pill and pop it into “would be” conflict test lab of Kashmir. Why keep selling the condescending thought that when Muslims get repressed, they only rebel as violent religious organisations and the world has to accept it? Why not tell them about history of left led rebellion in Arab world? It’s success and failures. Similar success and failure of left in Kashmir. The assassinations of left leaders by the “rebels” in “Kashmir Intifada” of 1990s. If nothing else, at least, come up with a Kashmiri word for Intifada. What did Intifada do for Palestine? Before the rise of religion driven movements and intifadas in Arab world, French Marxist historian Maxime Rodinson had these lines to offer as advise to his fellow Marxist in 1968. /“Yet false and over-schematised conceptions of Israel’s membership of and dependence on Western world must be rejected. Such conceptions are very widely held among the Arabs and elsewhere, and are furthermore frequently linked to Marxism. These notions are of the type which are fashionable in the most vulgar ideological Marxism of the Stalin era. The capitalist imperialist enemy of the people’s longings for liberty and equality is represented as a kind of legendary monster, with a single head and brain controlling a host of tentacles which unhesitatingly obey the orders of the master mind. The brain is situated somewhere between the Pentagon and wall Street, and none of the tentacles has any will of its own. Rodinson had the courage to say it after the end of 6 day war of 1967. Replace India with Israel and change Arabs with Kashmir, it won’t be difficult to do for some of you. If you go “…but India is no colonist” or “…but Kashmiris did no wrongs”, or “let’s get to the beginning”…you are either a hypocrite or ignorant or a mix of both. It is easy to pass around quotes of Edward Said on Palestine and fit them to Kashmir. Be like Said, pick a stone and throw it around. But, is that honest. Edward Said wrote this in 2002 on the “new” Palestinian intifada, on how most Palestinians stood for neither Arafat nor Islamists, and how these people were the “silent majority”. Needless to say, the intifada factory in India hasn’t yet reached a stage where such nuances matter. An Islamist terrorist is wrapped in sugar syrupy shroud weaved using "see-as-fit" words of Edward Said and presented as “The Resistance”, just because they, the Indian Palestinian experts, will have every one believe the most Kashmiris stand for Islamists and any body interesting in a future of Kashmir, has to get used to the idea. And it is all because of brutality. So, justified. So many are dying, so justified. All the while failing to explain why even in face of Israeli brutalities, Palestinians were able reject Islamists? The answer is because the Palestinians resistance is native while in Kashmir it is all an import. 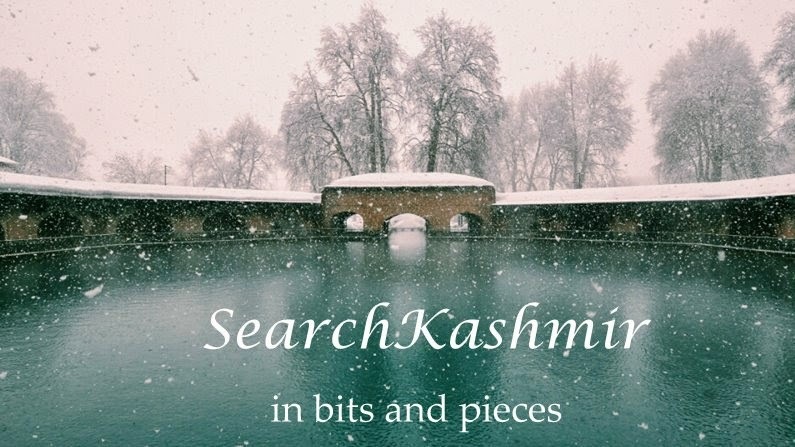 The guns and the ideology is imported from across the border while the lens used to analyse the Kashmir is imported from Indian intelligentsia that has long studied Palestine. These people who bendover backward to make Hizbul Mujahideen look like another run of the mill radical yet benign socialist party, are the people who would ensure that Kashmir will never see a truly secular future, or any future while Palestine still has a chance. Kashmir will only continue to churn out Indian experts who will put their sloppy Palestinan theories into action in Kashmir. Now, recall history of Kashmir where unlike Palestine the violent bloodletting is only, on historic scale, recent, just 26 years old. If you see people peddling the failed vulgar variants of Marxist ideologies in case of Kashmir. It is no coincidence the new cry of Kashmiris is "Bharat ki Barbadi tak". You know how things would turn out. Kashmir still has a chance. All stake holders just need to count their losses of past, present and future. Pic 1: Screengrab from the film showing Mujahideens giving gun salute to fallen comrades. 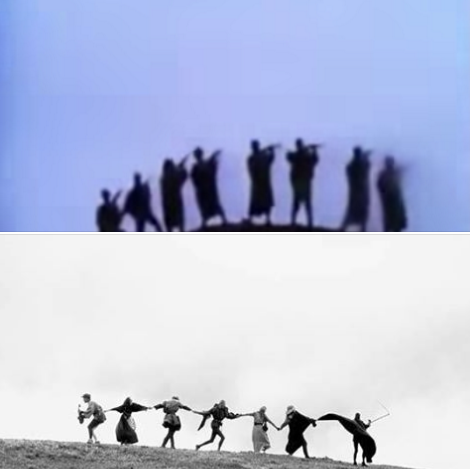 Pic 2: "Have mercy on us, because we are small and frightened and ignorant" ~ "dance macabre", end scene from "The Seventh Seal" (1957) by Ingmar Bergman.